James Sinclair is a Research Manager at the Bicycle and Pedestrian Resource Center. His work includes Complete Streets Implementation Plans, developing solutions to address distracted driving in New Jersey, and evaluating the New Brunswick Ciclovia. 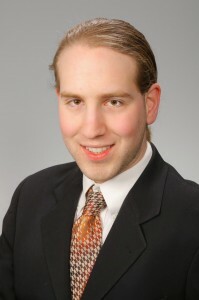 James is a recent graduate from the Master of City and Regional Planning program at the Edward J. Bloustein School of Planning and Public Policy at Rutgers University. While there, he focused on transportation and urban design, with a special emphasis on bicycle and pedestrian planning. With his undergraduate degree in business administration from Boston University, he was previously involved in bringing a bike share system to the Boston region. That experience solidified his interest in planning for sustainable transportation.